New York, NY – September 2018 – ABRAMS announced today a new line of books, Megascope, to be established as part of the celebrated Abrams ComicArts publishing program, in time for the imprint’s tenth anniversary in 2019. Megascope will be curated by the award-winning and New York Times bestselling comics creator John Jennings, illustrator of the critically acclaimed Kindred: A Graphic Novel Adaptation (Abrams ComicArts), an adaptation of Octavia E. Butler’s seminal work. Megascope takes its name from the legendary scholar W. E. B. Du Bois’s allegorical invention—a device that can peer through time and space into other realities. Megascope will capture the intention and spirit of DuBois’ invention by rediscovering powerful speculative work by and about people of color and also visualizing new diverse narratives through the comics medium. Megascope will publish an array of graphic novels and art of comics books, including stories of science fiction, fantasy, horror, and magical realism, as well as creative nonfiction narratives centered around social justice issues. Andrew Smith, SVP, Abrams Children’s Books and ComicArts, and Charles Kochman, Editorial Director of Abrams ComicArts, collaborated with Jennings to bring this new line to ABRAMS. Charlotte Greenbaum, Editor, will work with Kochman to assist Jennings in overseeing the process for all Megascope titles. Jennings will acquire and help guide the editorial vision of Megascope, which will publish between four and six books per year, the first of which will release in fall 2019. “Everyone who participates in our society deserves to see themselves and their culture reflected back to them in the media with which they interact. Storytelling is an empathy technology and it gives us a space to share and explore everyone’s humanity. We plan to reach back and find speculative critical narratives of the past and introduce them to new audiences. We also want to help develop new stories from new voices that speak to the imagination and wonder of fantastic shared narratives for all to learn from and enjoy. ABRAMS has repeatedly shown its dedication to creating beautiful books for everyone. It’s just one of many reasons why this partnership is so timely and exciting for me,” says Jennings of Megascope. Jennings will also create an advisory board to help curate, research, and cultivate projects. The advisory board will feature internationally known scholars and comics experts from various disciplines, inlcuding Henry Louis Gates Jr. (Harvard), Sherryl Vint (UCR), Frederick Luis Aldama (OSU), Stanford Carpenter (Black Comix Arts Festival), Kinitra Brooks (MSU), Ricardo Padilla (Latino Comics Expo), Rebecca Wanzo (WashU), Darieck Scott (UC Berkeley), and Frances Gateward (CSUN), to name a few. “We’re thrilled to be working with John to expand our graphic novels list in this important new way—and to welcome the new talent and invaluable voices, both on the creative side, as well as on the publishing team. 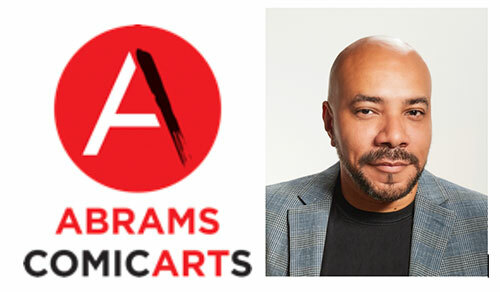 As we prepare to celebrate ten years of Abrams ComicArts, this the first of several exciting announcements about the expansion and increased inclusivity of our graphic novels list,” says Smith. “Besides being an amazing artist and a committed creator, John is fully immersed in the comics community and the world of academia. Through our conversations, it became clear that what has been missing was proper, consistent representation of comics created for, by, and about people of color in the mainstream. To address this, there is no one more qualified than John Jennings, and we are excited to work with him to shepherd these stories into existence. The formation of Megascope is just the start of this necessary dialogue,” says Kochman. Jennings is Professor of Media and Cultural Studies at the University of California, Riverside, and was previously a 2016 Nasir Jones Hiphop Fellow with the Hutchins Center at Harvard University. His work centers around intersectional narratives regarding identity politics and popular media. He is the cofounder/organizer of numerous comics festivals around the country (including the Schomburg Center’s Annual Black Comic Book Festival in Harlem) and has been involved in many critically acclaimed and award-winnings books as illustrator, editor, and writer, including the #1 New York Times bestseller Kindred: A Graphic Novel Adaptation (with Damian Duffy) and the Eisner Award–winning academic anthology The Blacker the Ink: Constructions of Black Identity in Comics and Sequential Art. Jennings lives in Riverside, California. Founded in 1949, ABRAMS was the first company in the United States to specialize in publishing art and illustrated books. The company continues to publish critically acclaimed and bestselling works in the areas of art, photography, cooking, craft, comics, interior and garden design, entertainment, fashion, and popular culture; children’s books ranging from middle grade to young adult fiction to picture books to board books. ABRAMS creates and distributes brilliantly designed books with the highest production values under the following imprints: Abrams; Abrams ComicArts; Abrams Image; Abrams Press; Abrams Books for Young Readers; Amulet Books; Abrams Appleseed; and a gift and stationery line, Abrams Noterie. ABRAMS also distributes books for 5 Continents Editions, Booth-Clibborn Editions, Cameron + Company, Alain Ducasse Édition, Getty Publications, Ludion, The Museum of Modern Art, Obvious State, SelfMadeHero, Tate Publishing, V&A Publishing, and The Vendome Press.